They are finally here thanks to our good friend Nick! You can find up to date info on them, and any new shirts we will make in the Apparel section, found above. Both Designs are currently in stock in sizes Small-XXL. 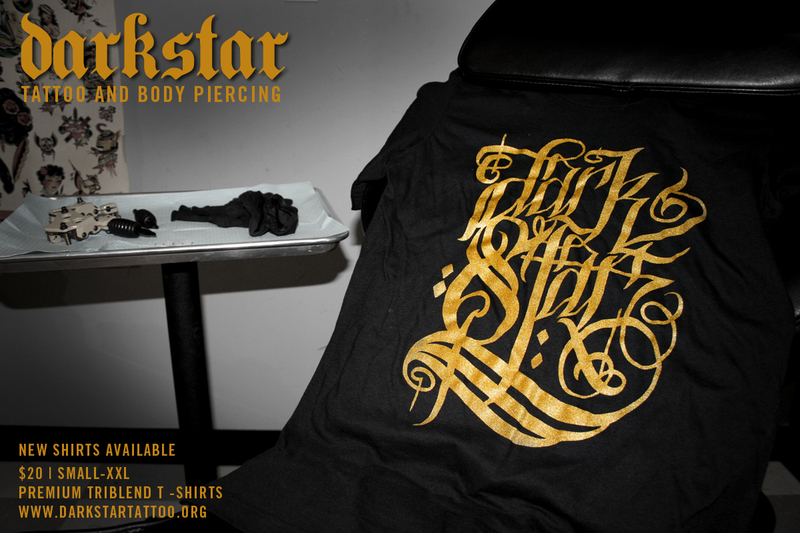 We are working on getting our webstore up but in the meantime you can pick them up for $20 at the shop. If you would like to order one now we will shipping is a flat rate of $4 USD for anywhere in the continental US. 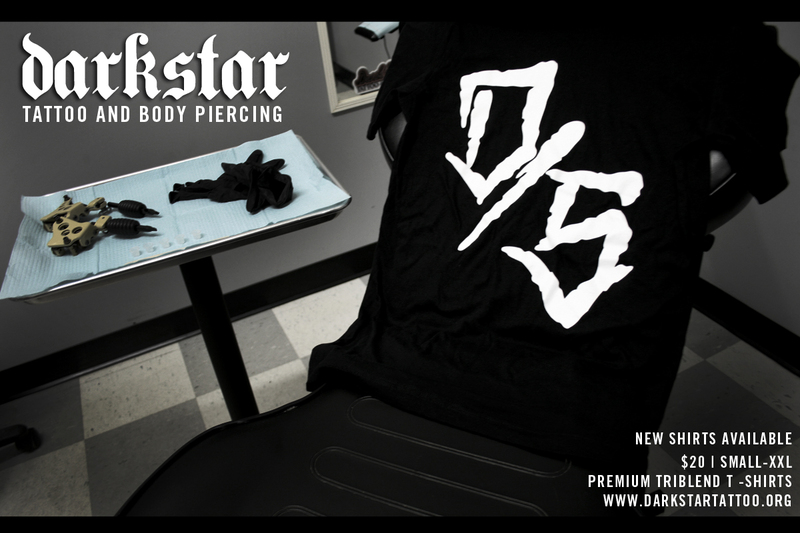 Email us at darkstar.tattoo@yahoo.com to place an order.